You can dangle a dazzling look whenever you wear these Palu collection drop earrings by John Hardy. 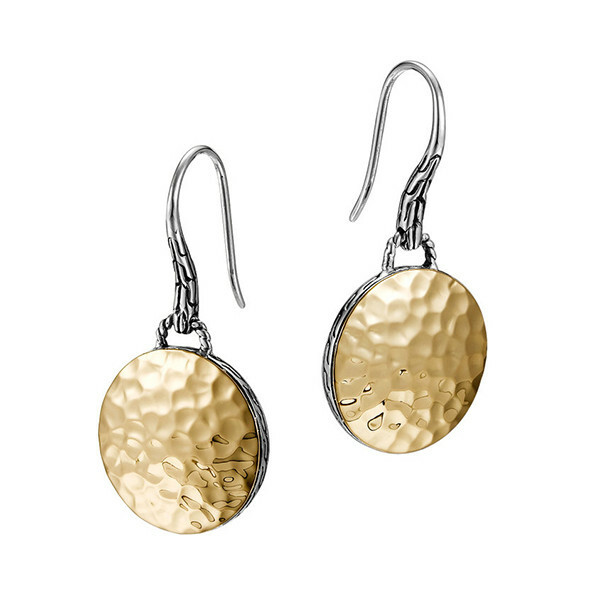 For each earring, a sterling silver disc is eclipsed by 18kt yellow gold with a hand-hammered surface. The edges of the discs are finished with the classic chain motif, and this pair of earrings drops elegantly from French wires. You'll look fabulously chic in this John Hardy set.